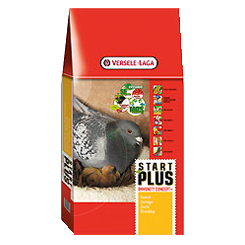 Complete food for pigeons with the special Immunity Concept+ breeding pellet. Start Plus I.C.+ is an exceptional breeding mixture thanks to its ideal protein content. Enriched with easily digestible breeding pellets, which allows to prevent all the deficiencies of traditional mixtures. Only contains 20 % maize (little waste) and small peas.